For our New Jersey patients, we use Plasma Pen Treatments in combination with our other facial rejuvenation treatments to give you youthful, glowing skin. Jet Peel exfoliates and hydrates your skin. The Plasma Pen treatment is an innovative method for face and body rejuvenation. The Plasma Pen is a non-surgical technique, which means it does not use scalpels or any other surgical instru­ments. It is used as a treatment for patients who are looking for beauty treatments that provide a perfect look with no surgical risks involved. 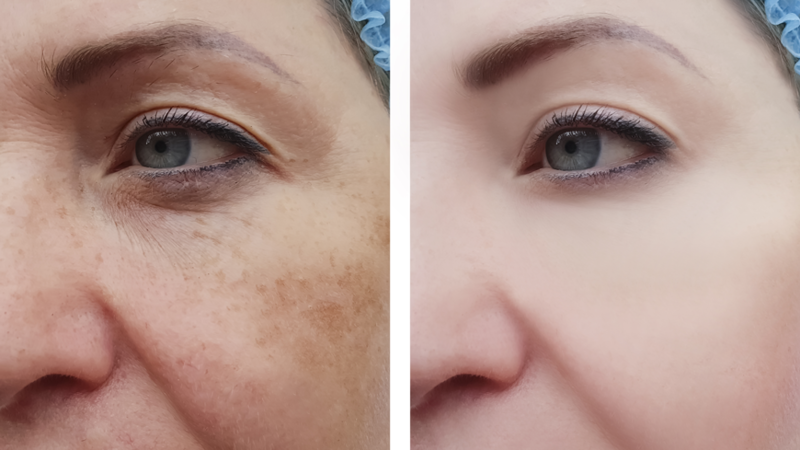 At LipoLaser of South Jersey, our highly trained physicians use the state-of-the-art Plasma Pen on skin tissue to make it contract almost immediately by thermally disrupting the skin and fibroblasts. This causes a micro-trauma, stimulating new collagen and helping to release and activate critical proteins and growth factors like cytokines and fibroblasts, making more collagen than before it was interrupted. Excess skin will eventually dry off and form tiny crusts that will fall off like dandruff in a few days. New collagen will form over the next 6 months. Once you are finished healing, you will see an improvement in skin condition and tone. Over the next 10-24 weeks, collagen production and skin tightening get progressively better and will continue to progress up to a year later. Once new collagen is stimulated, new collagen is formed. However, you may be required to go to more than a single session depending on the laxity of your skin since it doesn’t stop the aging process, which means that the natural aging and collagen breakdown will happen. Intrinsic and extrinsic factors can cause collagen to breakdown, like UV exposure and smoking. It is common to experience tenderness, redness, and swelling. As the skin starts to heal, you will most likely experience itching. You can use aftercare gel, which is included in the price of the treatment, to alleviate the side effects. Other side effects may include slight inflammation for a few weeks after the treatment, scarring, and infection. Hyperpigmentation (darker skin) or hypopigmentation (lighter skin) are rare but possible. Fibroblasts are active, spindle-shaped cells in the dermis that increase the production of fibers, collagen, and glycosaminogly­cans. Fibroblasts have the role of helping with the formation of the dermis and are important for normal growth, healing, wound healing, and any other every­day physiological activities in all tissues and organs. The number and effectiveness of fi­broblasts decline as we age, and their density gradually begins to de­crease. Fibroblasts in connective tissue hardly ever experience division. Cel­lular division and regeneration are only stimulated by the wound healing process or inflammatory response. Trauma from plasma stimulates fi­broblasts to create new collagen and raise elastin levels.